Rise of the Blobs is a puzzle game with quite a literal twist. Don’t let the fruity exterior fool you — this game is challenging as it is addictive. 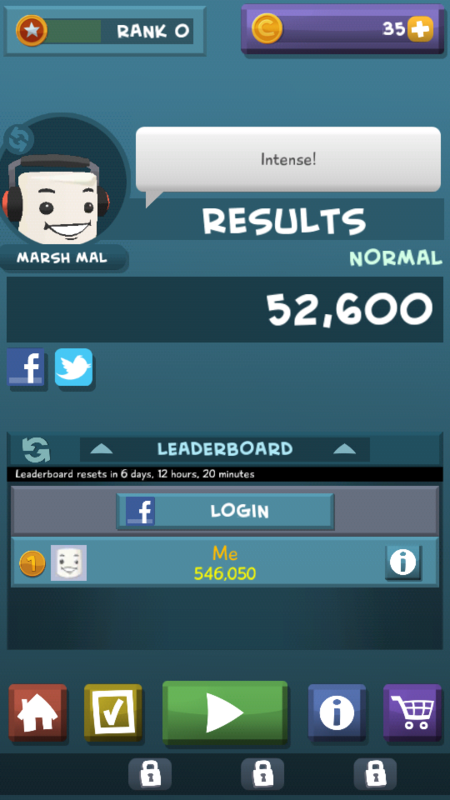 This game is a fast-paced puzzler, pushing your brain and hands to be as coordinated as possible. Despite its fun approach, Rise of the Blobs is a pretty complicated game. 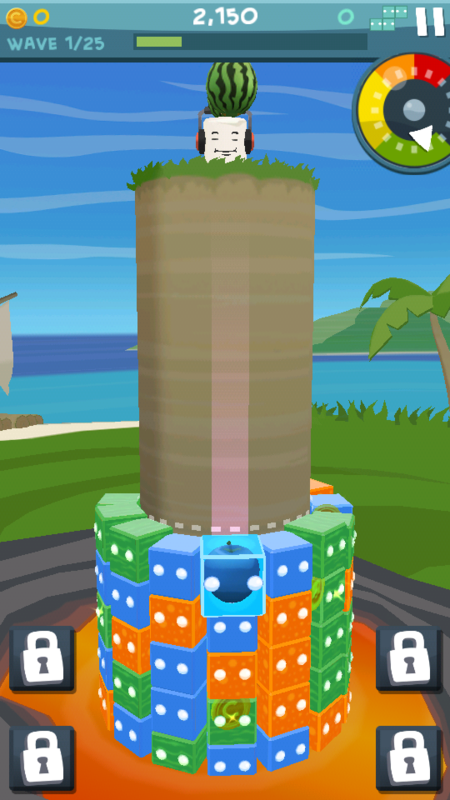 The main objective is to clear of the blobs that are climbing up a cylindrical hill. 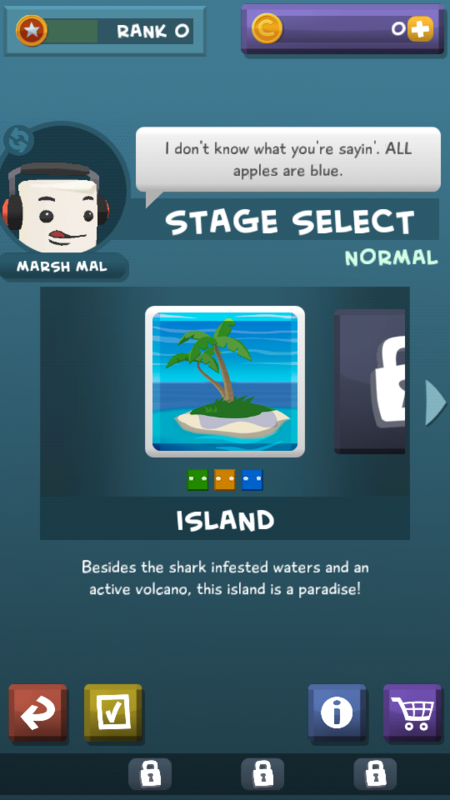 A tiny fellow — a marshmallow named Marshal Mal — is on top of that hill dropping different kinds of fruit that help you clear the blobs. 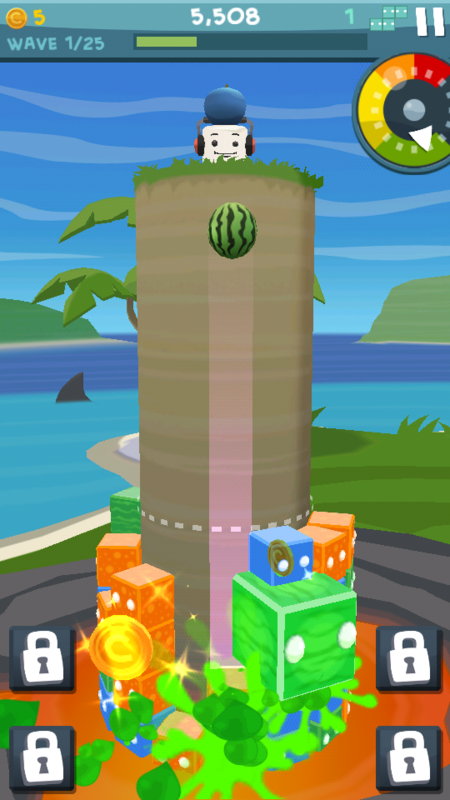 You’ll have to make sure that the right kind of fruit (same color) drops on the right block so it pops along with other similar blobs near it. 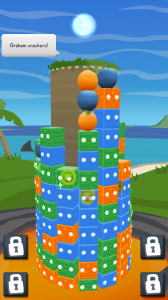 If the wrong fruit lands on the wrong block, the fruit adds to the pile and will only be cleared if two other fruits of the same kind lands on top or directly to either side of it. 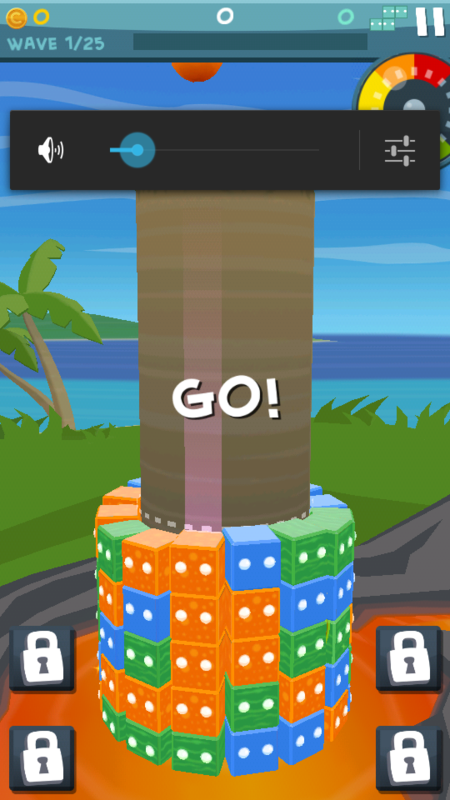 The challenge lies in the tedious way you’ll have to pop blobs off the pile. 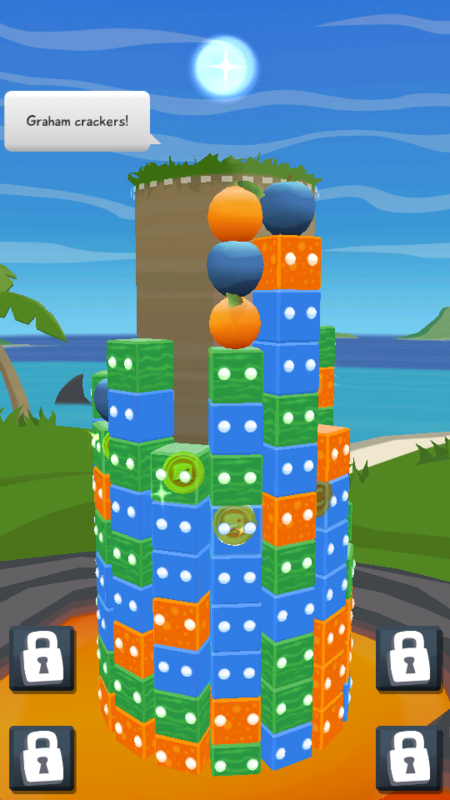 Dropping fruits on the right blobs alone is a challenge in itself, since the cylinder is rotating. You’ll also have to turn it around to see the other blobs. 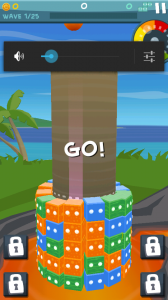 When you’re sure you want to drop a fruit to a block, you can swipe it down so it falls faster than usual. Remember, you have to be absolutely sure of the position before swiping down. If you realize you made a mistake a little too late, you can try to quickly shift to the right place while the fruit is inches from landing — and hope it works. Putting fruit on the right block is most of the work, but it doesn’t stop there. When a fruit lands on a block, the block absorbs it and you’ll need to tap on it so it pops and clears off, otherwise you’re left with a trapped fruit inside a box. 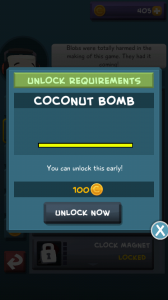 Desperate times call for desperate measures, and in this case, you are given a coconut bomb for blasting off all blobs of the same color. 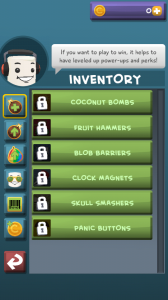 These bombs can be purchased from the shop with accumulated coins, and some are awarded when you level up. 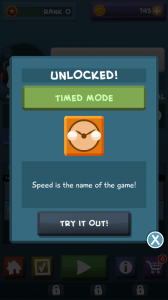 In addition to the default, normal mode, there are other modes that you can unlock and play — such as Timed, Skull and Match. 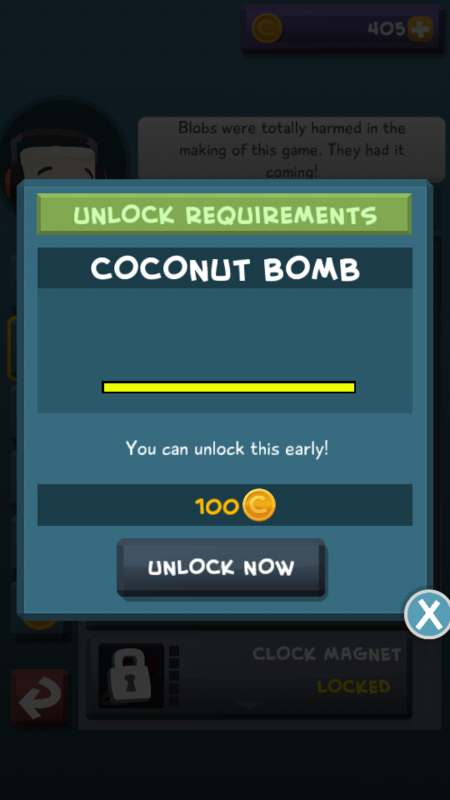 These are normally unlocked as you reach certain levels, but if you want to unlock it earlier, you can do so by paying for it in game coins. 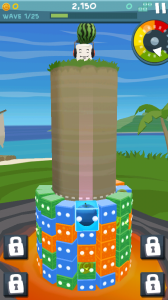 If you want to earn extra coins or experience, you can complete missions throughout the game. This can be anything from using bombs to reaching a certain score in a single game. 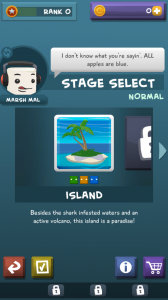 You get coins and level up when completing each mission. Rise of the Blobs is designed to be a puzzle, but it feels more like an arcade game. 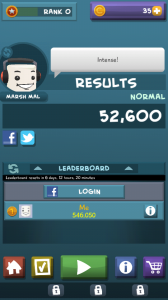 If you want a challenging and speedy game that’s more than your ordinary puzzles, then this game is for you.